There’s no place like Texas, and there’s no grocery store like HEB. A Texas staple, the popular grocery store has proudly served Texans high-quality products for years, and the Dripping Springs HEB is no exception. Here are three of our favorite HE-B products that can be found near our master-planned community in Dripping Springs. 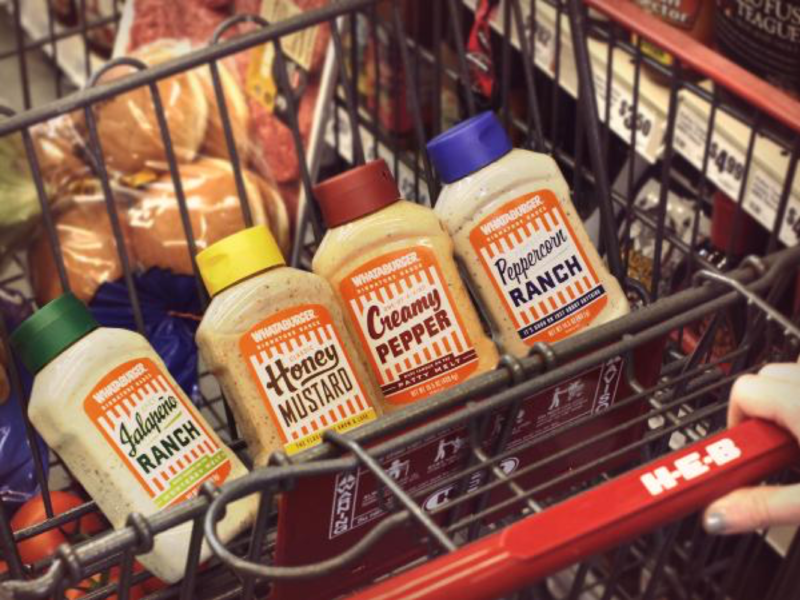 The Texas powerhouse, Whataburger, teamed up with HEB to sell some of your favorite products in-store. Stock up for yourself or send a taste of Texas to your far-away friends and family. The Dripping Springs HEB now offers some of your favorite Whataburger sauces in bulk, including Spicy Ketchup, Jalapeño Ranch and the classic Honey Butter. These sauces are the perfect complement to a juicy burger or freshly fried tater tots. They also sell Whataburger salsas and pancake mix. This line of products can be found exclusively at your local HEB. If you love to start your morning with a hot cup of coffee and freshly toasted bread, make sure that bread is HEB’s cranberry pistachio bread. The artisan bread is made from scratch and made in-store at your local HEB. The bread is loaded with fresh cranberries and pistachios, making it a nutritious and delicious addition to your daily diet. It’s perfect for pairing with meals or toasting alone! HEB has been providing Texans with the best products for years, and the best just keeps getting better. Shop these local products and more at the Dripping Springs HEB. If you’re looking at the housing market and not only Central Market, visit Caliterra to learn more about our master-planned community in Dripping Springs. You can also follow us on Facebook, Instagram and Twitter.